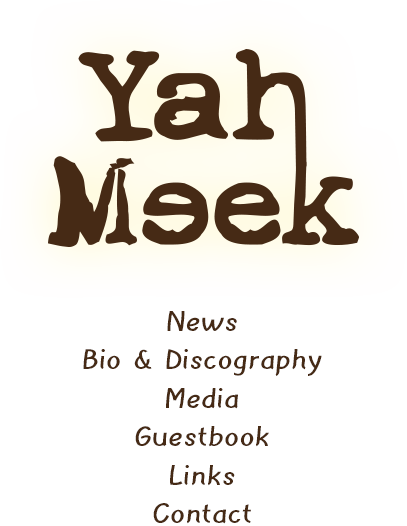 The Jamaican singer and songwriter Yah Meek is singing since early childhood. By winning a talent show in his hometown Robin’s Bay in the early 80ies the foundation of his career was laid. In the early 90s he worked with Jahmali, one of the leading Roots Artists. 1994 Yah Meek visited Germany for the first time and worked with artists like Marlon B and Tricky Chris. 1997 his first single “The Riddim” Global Youth feat. JAH MEEK was released on Sony Music. The music video run on VIVA and MTV and even made it to the Top 10 Radio Charts. In the same year Electrolux Records brought out Yah Meek’s songs “Open Your Mind” and “Each One Teach One”. Afterwards Yah Meek toured through Germany together with Serious Dropout, a Dub band from Frankfurt. In 1999 the Jamaican became part of the band Movements, with which he performed at the biggest European Reggae-festivals like Summer Jam, Chiemsee Reggae Summer, Sunsplash Wiesen and Rock am Ring. When he visited Germany for the second time he continued working on his carrier. Together with the band Banned-X he cooperated with several artists and released the album “Songs and Trax” on Mulicolor Rec. Furthermore Yah Meek collaborated with Sékou from Freundeskreis. Through his cooperation with Rootsman the Roots and Culture track “Beautyful World” was released. In 1999 Yah Meek worked with Xavier Naidoo and became part of Söhne Mannheims in 2000 and toured with them through Europe. In the same Year he joined the Brothers Keepers Project against racism and released “Don’t know why” and “Never give up” on their two albums. In 2002 Yah Meek recorded the track “Everything is Possible” featuring Luciano which was released in 2005 as a 7’’ Inch on Velocity Sounds Rec. The track was also released on Yah Meek’s first solo album “Touched by an angel”, which was released in march 2005 on Velocity Sounds Rec. Therefore Yah Meek received the German Reggae Award in the category “best album”. 2009 the singer and songwriter released his second album “Things change” on Velocity Sounds Rec. In August 2011 Yah Meek released his single “Summertime” on Freetime Rec. In autumn 2011 “know yourself” feat. Uwe Banton was put on the market. 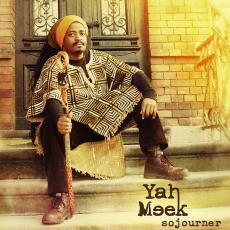 In march 2012 Yah Meek's third album “Sojourner” was released., which is available in all download stores, like I-Tunes, Musicload and selected CD-Stores. The album “Sojourner” which was released on Freetime Rec features artists like Singing U, Bobo Niyah, Anthony Locks, Jennifer Washington, Mighty Tolga, Singing Gold and many more.